Comics Experience Blog: Bill Willingham, plus the Creators of "Petrograd" - Upcoming Guests on the Creators Workshop! Bill Willingham, plus the Creators of "Petrograd" - Upcoming Guests on the Creators Workshop! AND a Workshop session with writer/artist Bill Willingham on his writing and art career, creator-owned comics (like his mega-hit Fables from DC Vertigo), his upcoming Fabletown & Beyond Convention (aka FablesCon) and more! 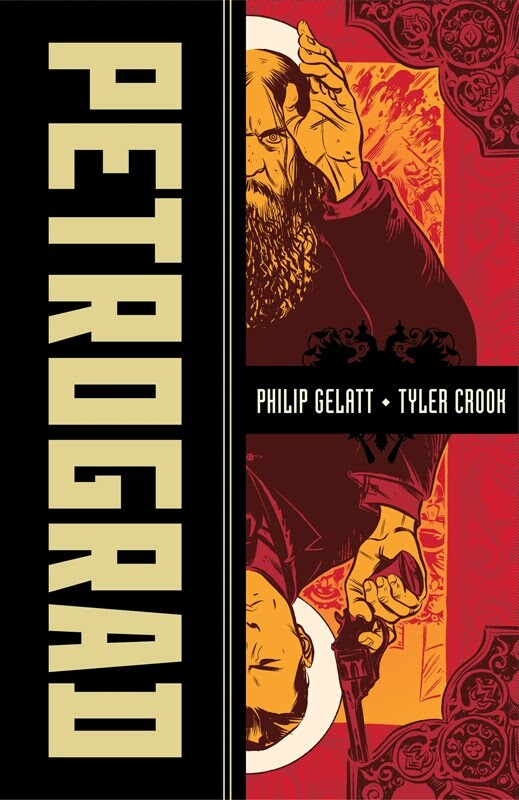 On September 11, 2012 at 8:30pm Eastern Time, we'll be discussing Petrograd with writer Phil Gelatt, artist Tyler Crook, and editor Jill Beaton. Petrograd tells the tale of a reluctant British spy stationed in the heart of the Russian empire during first World War who is handed the assignment of orchestrating the death of the mad monk -- the Tsarina's most trusted adviser and the surrogate ruler of the nation. In selecting Petrograd as its Book of the Year for 2011, iFanboy said: "Petrograd is impressive in every way, from the research and characterizations, to its excitement and action, to the wonderful cartooning, to the package itself. In these ways, Petrograd stands above every other book we read this year, and most from years prior." Writer Philip Gelatt's first published comic work was Indiana Jones Adventures Volume One for Dark Horse, followed by Labor Days published by Oni Press. He has worked in the film industry in various desk-related capacities, including as a script reader and researcher. Tyler Crook, in addition to being the artist on Petrograd, is the regular artist on B.P.R.D. for Dark Horse Comics. He was also awarded the 2012 Russ Manning Promising Newcomer Award at the 24th annual Will Eisner Comic Industry Awards earlier this year. Jill Beaton began at Oni Press as an intern, moving to assistant editor in early 2008, and promoted to full editor in 2011. She has edited numerous titles at Oni including The Sixth Gun, Wasteland, The Secret History of D.B. Cooper, and many more. 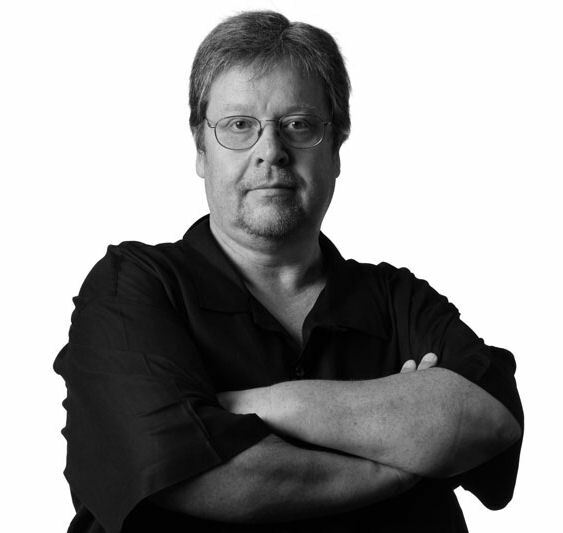 Then, on Tuesday, September 25, 2012 at 9pm Eastern Time, we'll be joined by writer/artist Bill Willingham! Bill Willingham has been writing, and occasionally drawing, comic books for close to 30 years, and he also writes prose fiction as well. He has written for both DC Comics and DC Vertigo on titles such as Proposition Player, Day of Vengeance, Shadowpact, Jack of Fables, Fairest and the Eisner Award-winning Vertigo series, Fables. 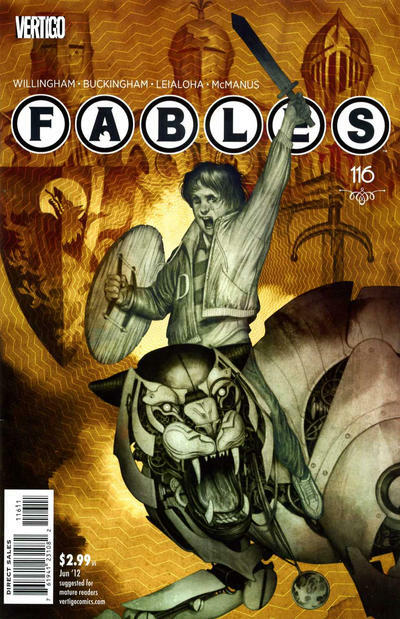 In addition to Fables, he has also created comic book series such as Elementals, Ironwood, Coventry and Pantheon. 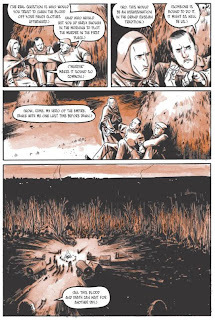 His work has been nominated for a number of other awards in addition to the Eisners including the Harvey and Ignatz comic industry awards as well as the Hugo and International Horror Guild awards. On March 22-24, 2013, he will be hosting the inaugural Fabletown and Beyond Convention (aka FablesCon) in Rochester, Minnesota. FablesCon is designed to discuss, promote and celebrate comic books that fall within the Mythic Fiction realm and will include guests such as Fables artist Mark Buckingham, MouseGuard's David Petersen, writers Kurt Busiek, Chris Roberson, Mike Carey and many more. We're looking forward to a wide-ranging discussion with Bill, and a lively discussion earlier this month with the creators of Petrograd! There's still time to join us at the Creators Workshop before these two great discussions! We hope to see you there. Aww. I missed it... Oh well, there's always a next time! So if you are about obeying scripture, you should be campaigning against your own right to vote. Why don you leave the bronze age where it belongs. In the long distant past.. A. Eltingville resident Ashley Rae Razzano and Brandon Arsenio Flores of New Dorp were married in St. Joseph St.
Nicotine in e cigarettes may have several negative health effects. Chronic nicotine exposure may lead to insulin resistance and type 2 diabetes. Inhaled nicotine increases heart lil uzi vert shirt rate and blood pressure. You were given fourth of july shirts the right to bear arms because our forefathers recognized the corruption that could exist in the hearts of some men; the evil that could come to power through deception and lies. As a Player fo the Colorado Rockies, I lived in Aurora, CO. That is where my family and I called home! Home! Home.